This tower house looks magnificent, perched upon a rock outcrop overlooking the Anne Valley. 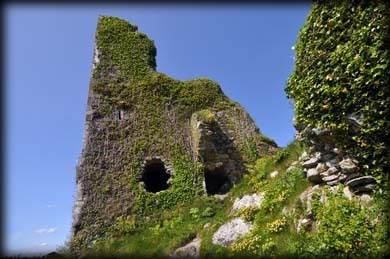 The Anglo-Norman Le Poer (Power) family were associated with the area from 1244, but there is no historical evidence for the castle before 1641. At that time the manor and castle were held by John Power. 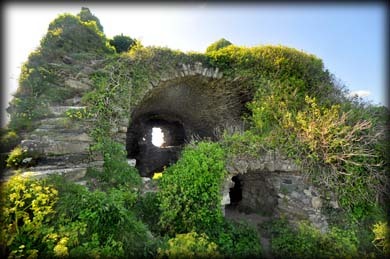 It is traditionally believed that Cromwell's forces took the castle in middle of the 17th century. I have to say the ruins, when you finally reach them, are a little disappointing. 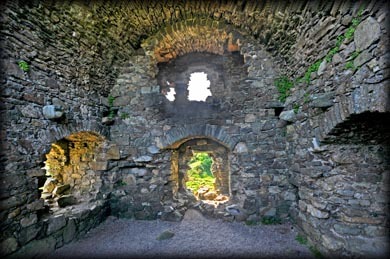 It is a rectangular tower, surviving to the vaulted first floor, with quoins and a base batter. The doorway and window lights have all been removed. 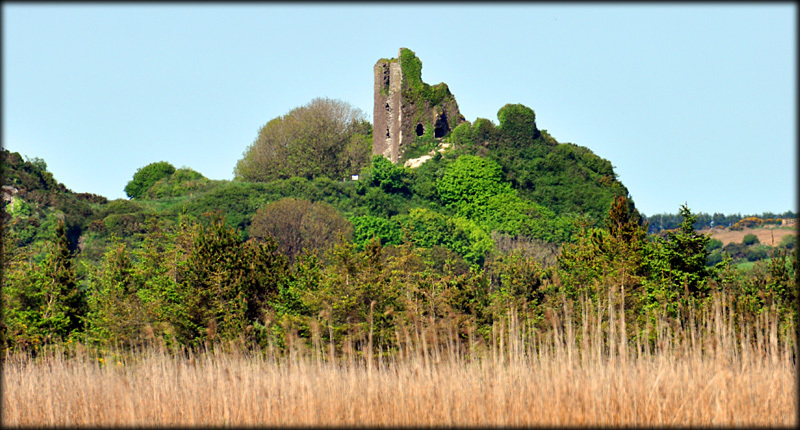 There is a lovely drive along the west side of the Annestown stream to Dunhill Castle from Annestown. 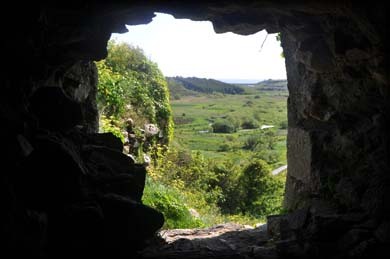 Alternatively there is the Anne Valley Nature and Wildlife Walk, which follows the Anne River from Ballyphilip Bridge in Dunhill to the castle. This is a specially constructed 2.4 kilometre long gravel path. 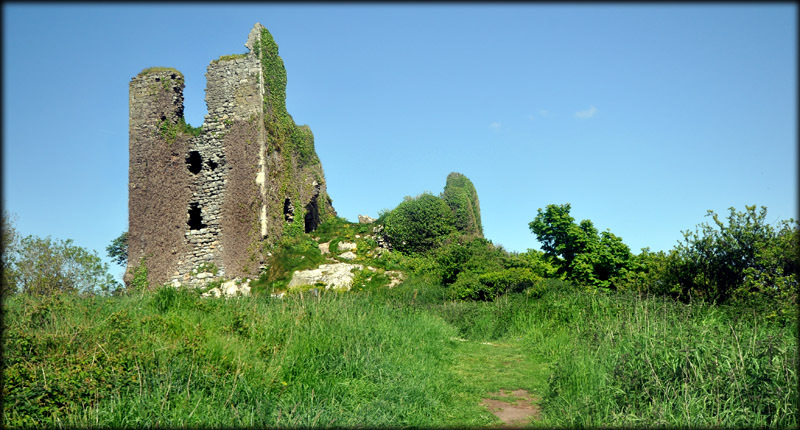 Situated: Take the road south from Dunhill and turn left at The first crossroads (Signposted Dunhill Castle). There is a car-park, on your left, at the end of this road. Discovery Map 75. S 5042 0085. Last visit May 2016.